My work involves vibrant colors and stylized characters. I work with acrylics, paint pens and spray paint. 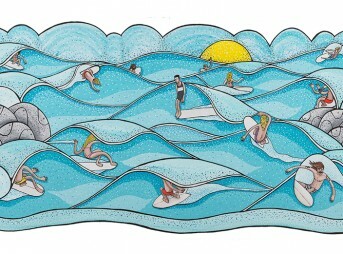 I do surfboard art, murals and design work.